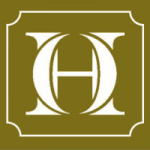 HOM Commercial offers hard money loans for real estate investors in New York, New Jersey, and Connecticut. They have been in business since 1891 and have funded over $1 billion. They work with investors of all experience levels. Rates and LTV vary depending on borrowers and projects. No reviews were found online as of the date this article was written. Work For Houlihan & O’Malley Commercial Services? Claim This Page.